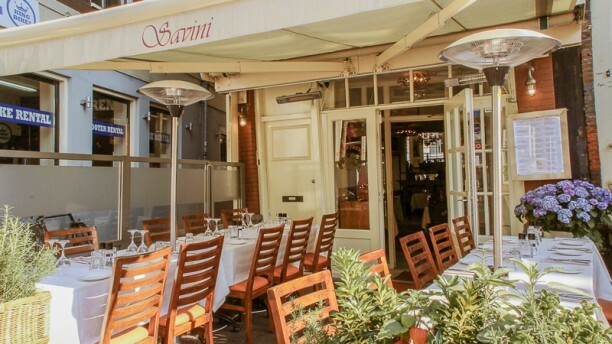 We had a lovely time at Savini as a family of five. Had a wonderful dinner. The staff was very nice. And friendly. The food was great and the portion was quite big. Highly recommended! Had a lovely time - great food ???? A good Italian Restaurant. Good food, well presented and good service. The overal price is what I would expect to pay in a good London Italian Restaurant and therefore overpriced. Very nice environment. Food was great. The food was very good and the service was excellent. The food was tasty and comparable to good Italian fare. The service went above and beyond expectations. Great pizza! Service was a little slow. Great food , great service , great ambiance! Surprising restaurant, good situation close to evening cruises and Central Station, cozy and fast service. We tried pasta, very well executed and presented. Salmon, gambero and tricolor outstanding choices. Also milanesa really tender and tasty. Good quality meal. Small place but nice atmosphere. Services good not great but definitely would go back. Pastas and my veal dishes were very good. Pizza were good too.